Over the past two decades, Brilliance has built a reputation as one of the leading retailers of diamonds, engagement rings, and fine jewelry. Each of our loose diamonds is hand-picked by gemologists and our jewelry is manufactured in the United States by master jewelers. 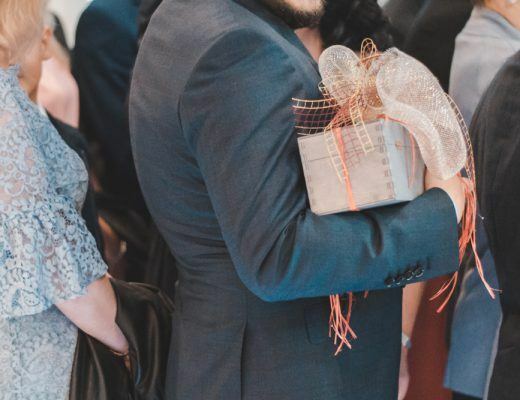 As you shop for the perfect jewelry item, we’ll guide you through the process with clear, honest advice, ensuring that your choice reflects your personal style and preferences. We offer thousands of loose diamonds, as well as a large selection of fine jewelry and engagement rings. Each of our pieces is handcrafted from only the highest-quality materials, and then carefully evaluated by our master jewelers with a rigorous eye for quality, brilliance, and durability. At Brilliance, we want to be your lifelong jeweler. To ensure that our relationship continues long after your first purchase, we offer an array of unique services with every diamond andjewelry order. 30-Day Returns: We stand behind each of our products with a 100% money-back guarantee and a hassle-free 30-day return policy. Gemological Appraisal: Our highly trained gemologists will examine your diamond or fine jewelry and provide an accurate gemological appraisal of its value. Free Shipping: You’ll enjoy free express shipping for each Brilliance.com order, increasing the value and convenience of your shopping experience. Low Prices: We offer the highest quality products at the lowest prices guaranteed. If you happen to find an item of identical size and quality at a lower price we will beat it. Brilliance Care & Maintenance: We provide professional cleaning and maintenance services for the life of your fine jewelry. All Brilliance.com transactions are conducted in a highly secure and encrypted environment. Your information is kept strictly confidential, and we never share your contact information with third parties, so you can shop with complete peace of mind. To verify our upstanding business reputation, we are a verified member of the Better Business Bureau. At Brilliance.com, each product we sell is subject to rigorous quality control inspections. If you ever encounter an imperfection, one of our expert jewelers will inspect it. If the defect is a result of the manufacturing process, we’ll replace it with another item or repair it at no cost to you. With our unique upgrade service, you can trade in any certified loose diamond purchased at Brilliance for a higher-value diamond. We’ll issue a full credit of the purchase price of the original diamond toward the new stone. We ensure that every Brilliance.com diamond is mined and processed to the highest ethical standards, in accordance with government-mandated guidelines. We foster relationships with only legitimate, regulated diamond suppliers, and follow a zero-tolerance policy against conflict diamonds. One of our primary focuses at Brilliance.com is doing our part to offset carbon emissions from the production and sale of our diamonds and gemstones. We’ve partnered with CarbonFund.org as a member of CarbonFree™, and we also participate in reforestation efforts with the Plant a Tree program. At Brilliance.com, we believe knowledge is critical to ensuring an informed shopping experience. We provide our consumers with an in-depth online resource, packed with valuable tips, information, and terminology pertaining to diamonds, gems, and fine jewelry. Visit our Education section. 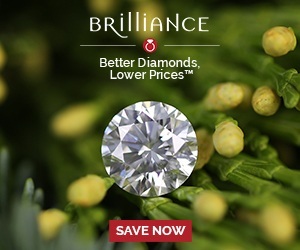 Every team member at Brilliance.com is a diamond and jewelry expert, trained to assist with your questions and concerns. We also have a staff of GIA Graduate Gemologists who provide knowledgeable diamond advice. Brilliance has built a reputation as one of the leading retailers of diamonds, engagement rings, and fine jewelry.